Nothing elevates performance more than coaching. This is what our decades of research has taught us. But what separates high-growth coaches (i.e. managers who coach as opposed to just manage) from their less effective peers? One key tool in the toolbox of the best coaches is the one-to-one meeting. Many coaches resist one-to-one meetings because they feel they already communicate with their team enough. They may have quick calls to discuss upset customers, or they may reply to an email about pricing concerns. Most coaches have an open-door policy, so people can drop in and talk about issues whenever they feel the need. But the vast majority of these individual conversations are reactive; they only occur when team members reach out. So the team members who get the most help are the ones who ask for it. Those who don’t often reach out to their coaches with questions are not receiving the individual time they need. Moreover, under this reactive approach, nobody is getting strategic time with their coach. 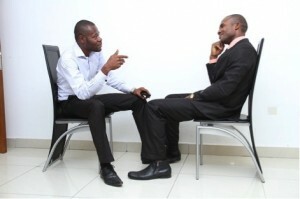 Conversations are usually isolated to specific, narrow issues. If you don’t want to miss out on the performance improvement your team could achieve, you need commit to consistent, effective one-to-one meetings. Here are some best practices for one-to-one meetings, followed by a step by step template you can follow. Most coaches have participated in enough one-to-one meetings to know that the wrong agenda can make a meeting feel boring, repetitive, and even useless. However, the right agenda can help increase communication, camaraderie, engagement, and productivity. Unfortunately, most coaches make the mistake of using their one-to-one meetings simply to touch base on their team members’ current priorities and tasks. The meeting agenda, if they have one, is filled with updates on customers, projects, and internal priorities. But rarely does it address the team member’s work on a more holistic level — their bigger-picture concerns, their developmental needs, or their personal goals. This leaves the one-to-one meeting being merely a tactical update of current work rather than a strategic discussion of ways for the team member to develop and improve his or her performance. To get the most value from your one-to-one meetings, you need to first fine-tune what you discuss. Stop the dialogue from being merely tactical. You can do this by using a consistent agenda that is more developmental and strategic and has the needs of your team members at the center. You may wonder if this type of exchange really matters. Our research shows unequivocally that it does. Letting your team members know you care about them on a personal level is essential to establishing trust, which will in turn help them grow. How can you possibly encourage your team members to take on challenges outside their comfort zone if they feel you don’t even know and care about them as people? It takes time to really get to know your team. And it may not be your natural style as a coach. But even the most reticent coaches can do this if they simply make it part of their one-to-one meeting agenda. Check in on long-term goals. The next item on your agenda should be to ask your team members about the progress they are making toward their strategic goals. Many coaches ask their team members to identify their strategic goals every year but then rarely follow up on their progress. If you want to ensure that your team members are taking action on long-term goals, you absolutely must ask about them regularly. Get their updates on project plans. Look at any performance or progress data you have. Examine where they are doing well and where they are falling behind. This is your chance to coach, counsel, and advise them as they are in the process of completing work that they have identified as strategically important. Help them develop by delegating work that requires them to learn a new skill. Most importantly, use your one-to-one time with them to ensure they follow through on these goals. Ask your team members about their daily work and priorities. While concentrating solely on day-to-day priorities is too one-dimensional for an entire one-to-one, it is important to address them because they often involve critical customer issues and other time-sensitive matters. You can make these discussions more meaningful by using them to coach your team members’ execution and behavior, rather than just ensuring that the work is completed. The next time you discuss daily work and priorities with a team member, don’t just grill them for status updates on projects, customers, or internal matters; ask questions that help them improve their execution. Ask them about how they are approaching a particular project, communicating with colleagues, or ensuring follow-up. Seek to understand the processes they are following and ask them to consider how these processes can be improved. You don’t want to be a clipboard manager who just checks items on the to-do list to ensure the work is complete. Instead, you want to be a coach who helps your team members think about and execute their work more effectively. Asking your team members questions about their work processes is the best way to do this. Ask your team members how you can help. While it may seem obvious that your team members will request your help if they need it, you may need to coach some individuals who are reluctant to put anything on your plate unless you expressly give them permission to do so. Be sure to let them know it’s okay to ask for your help. Creating an open forum in this way encourages them to feel comfortable discussing their needs and issues with you, and it works to strengthen the trust and partnership between the two of you. A one-to-one meeting may seem like a simple thing, but done well it can have a significant impact on your ability to maximize your team’s performance. Follow this template to effectively execute your next one-to-one meeting. Bill Eckstrom, co–author of “The Coaching Effect: What Great Leaders Do to Increase Sales, Enhance Performance, and Sustain Growth” is the founder of EcSell Institute, a research-based organization that works with leaders internationally to help them better understand, measure, and elevate coaching’s impact on performance. Sarah Wirth, co-author of “The Coaching Effect” is vice president of client services at EcSell Institute.